"Alexis Lynn performs her debut single ‘Promises’ live on The Morning Show - Global TV Toronto"
"Alexis Lynn is just starting her career in music, but already she’s been able to check off some pretty exciting items from her to-do list..."
"Vancouver-based, pop/R&B artist Alexis Lynn recently released her debut single Promises. 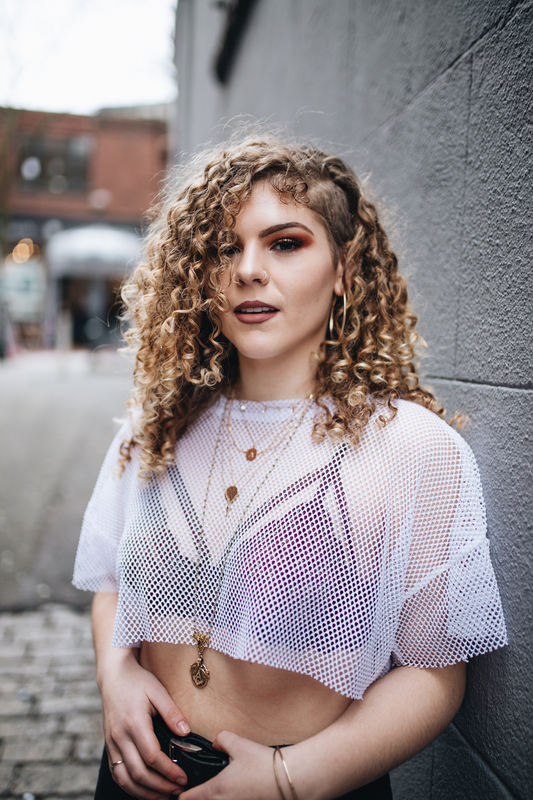 A co-write, Alexis says the track shares a love of “Similar experiences where we knew people who made promises they couldn’t keep..."
"This Canadian recording artist sings like an R&B artist from the 70’s but musically is definitly for todays Pop/HipHop sound..."
Canadian Beats: Exclusive First Listen "Promises"
"Vancouver-based pop/R&B artist, Alexis Lynn may be just about to release her debut single, “Promises” on May 4, but she’s no stranger to the Canadian music scene..."
"Already tabbed as a top 20 under 20 talent in the 2016 CBC Searchlight Contest, the 18 year old showed all of the confidence you’d ever hope to see from a teenager on stage... "
"Seventeen-year-old Alexis Lynn will make you "weak" with her pop voice..."
"It was hard to put together the maturity I saw in her performance with the fact she is still in high school. She looked very relaxed while performing, as if she did this every day..."